The automatic mechanism with which this model is equipped gives life to a chronograph that can accurately measure intervals of time. 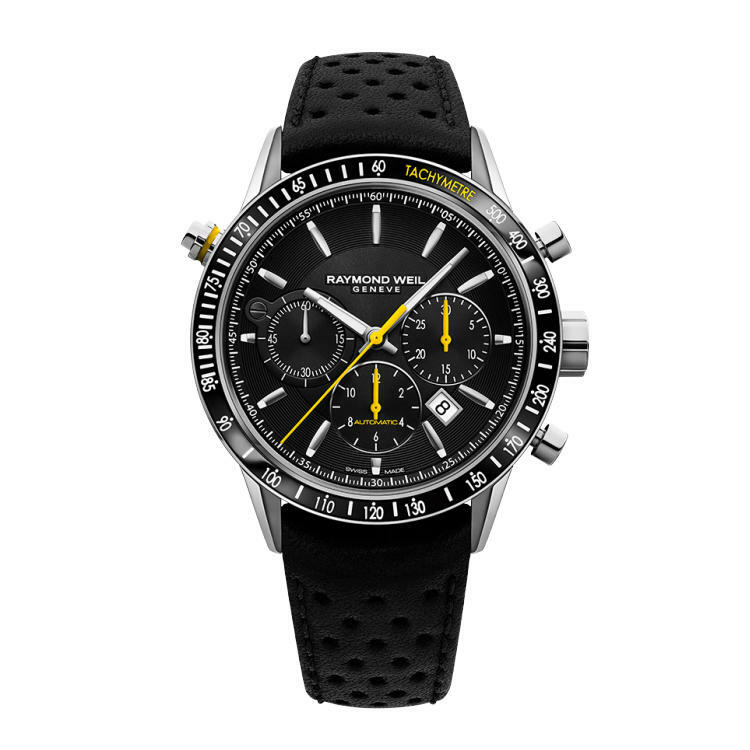 The stainless steel case sports a tachometer bezel and shelters a black dial with yellow chronograph hands and a date window between 4 and 5 o'clock. This ensemble sits in an open work calf leather strap. This stylish freelancer is perfect for active men.